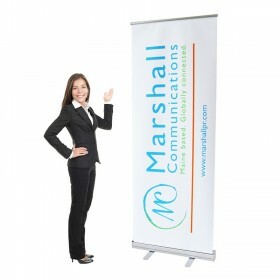 We're delighted to partner with you! 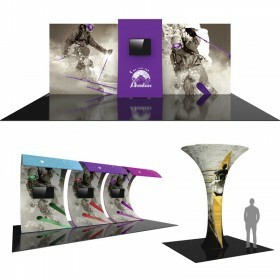 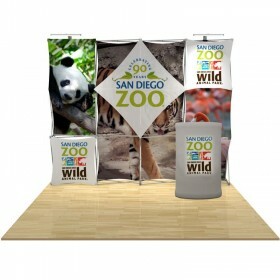 We may be new to you, but we’ve been creatively printing and producing trade show displays for nearly 25 years. 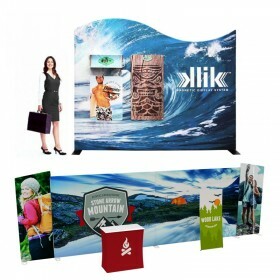 Beginning with a simple display at a local Maine business to business trade show to growing into a trade show display manufacturing and printing company shipping products worldwide. 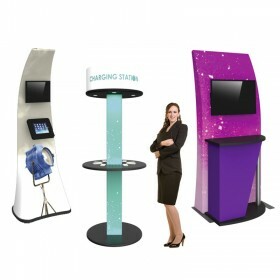 Think image, not price - quality and attention to detail that extends through everything we do - from hand selecting display lines to our top notch customer service. 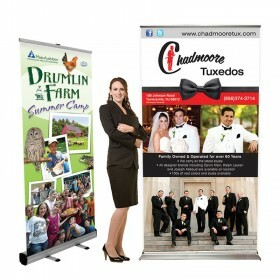 Because we believe that becoming a partner with you should extend past your next show date. 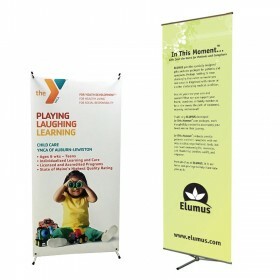 The image of your brand is our constant inspiration from beginning to end. 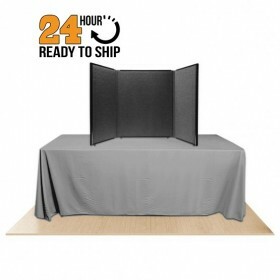 Our ultimate goal is to meet all deadlines and create a strong partnership making us shine brightly here at AffordableDisplays.com. 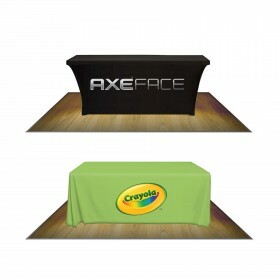 Partnering together to perfectly present your image. 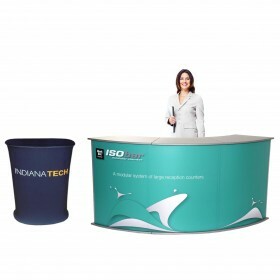 To be your partner in achieving trade show success by sharing our industry knowledge ensuring your image is presented perfectly, the best online shopping experience from beginning to end, to supply quality hand chosen trade show displays, a smart, searchable website, convenient purchasing ability 24/7, clear and secure payment methods, all with fast on-time delivery. 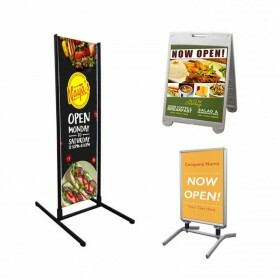 AffordableDisplays.com strives to provide fast, friendly service both before the purchase and after. 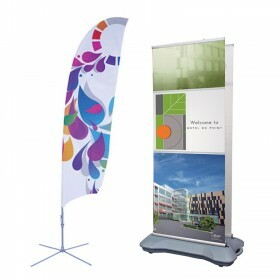 We aim to ensure the ordering process is fast and easy all the while meeting your specific deadline needs. 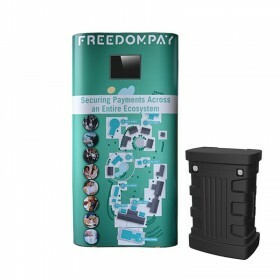 At the end of every transaction, each individual customer new or returning will walk away from their purchasing experience feeling accomplished and positive. 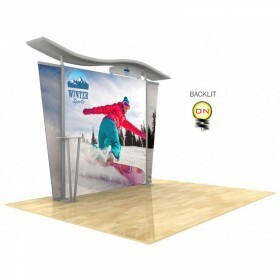 AffordableDisplays.com will exhibit honor, respect and determination to provide you with portable trade show solutions fitting your needs. 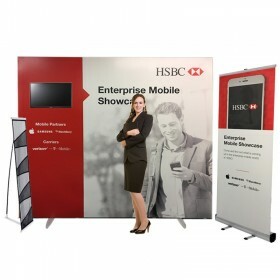 Our aim is to become a long-term trade show display partner; here we’ll stand by you and we’ll come through for you time and time again. 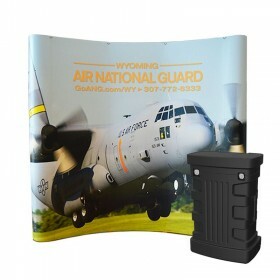 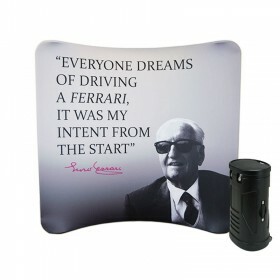 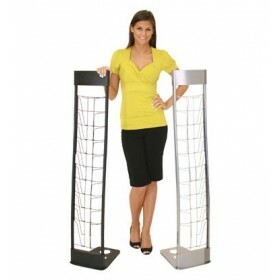 AffordableDisplays.com will stand behind their exclusively manufactured product lines and hand selected vendor products. 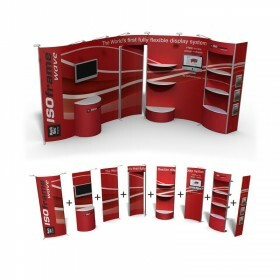 We’ve chosen certain trade show displays to provide consistent performance and quality hardware to ensure a long life spans making your display purchase worth every penny spent. 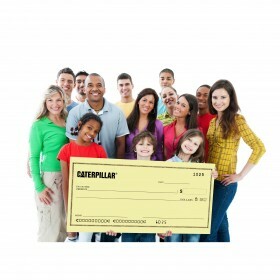 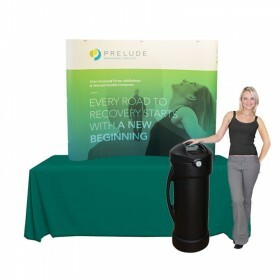 After your show is over our goal is that you experience success to move your own business forward. 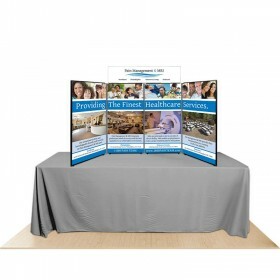 Our team of Image Consultants are here to assist each and every client by directing them to select the perfect display fitting their own individual needs. 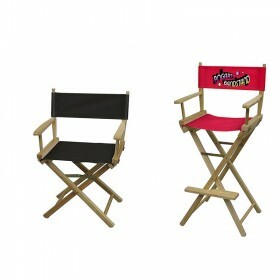 The end result is we make it happen so you don’t just show up, you’ve arrived. 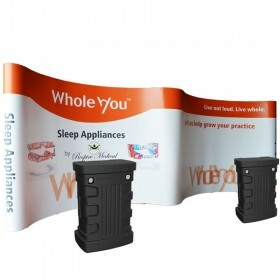 What makes us most excited is knowing we can provide you, the consumer, with a high quality trade show display that is proudly Made in the USA. 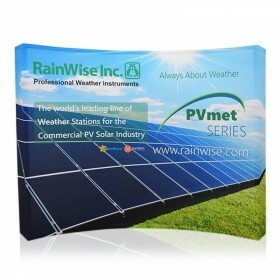 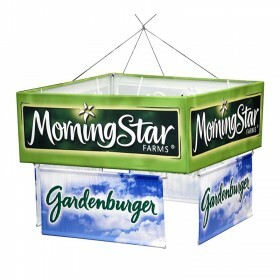 Our branded displays are manufactured right at our facility in Auburn, Maine. 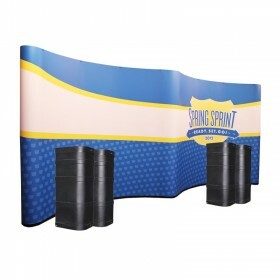 By manufacturing our displays on-site, this allows us to use the highest quality control standards during the process from start to finish. 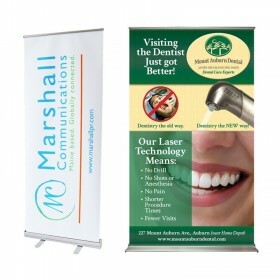 The end result is a happy customer every time! 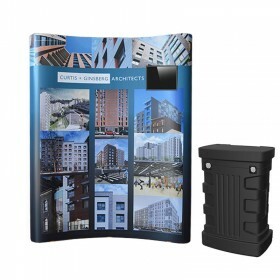 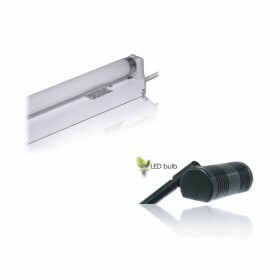 We aim to ensure our products will provide you with a trouble free life of use. 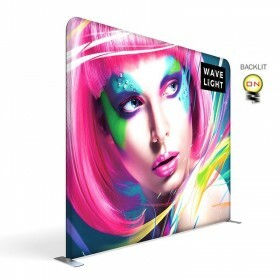 Feel confident with your purchase knowing we've got you covered with our exclusive "No Questions Asked" Lifetime Warranty on all our in-house manufactured displays. 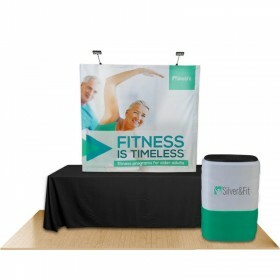 We guarantee our branded displays will not only make your image shine time and again, but will also last through even the toughest trade show schedules. 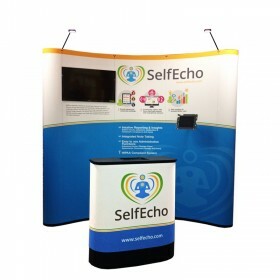 As a trade show exhibitor, there's no better feeling than knowing the set-up of your display will be quick and easy once you arrive to your trade show site. 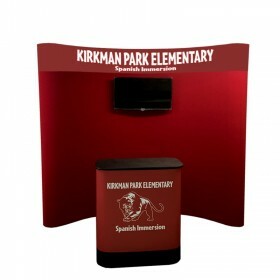 We know how stressful it can be reading page upon page of instructions just to set-up your booth. 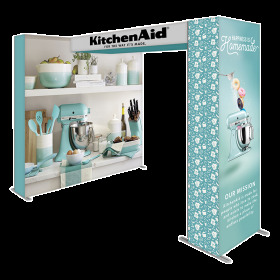 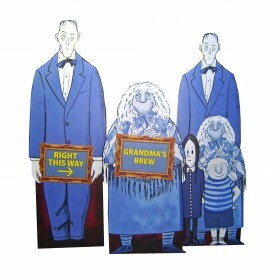 Simple instructions are included with all our branded displays because that's what the set-up process should be - simple! 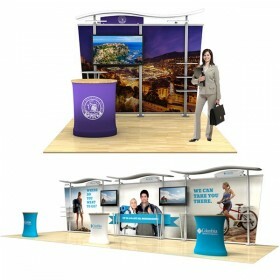 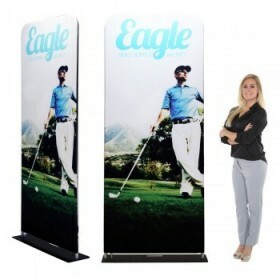 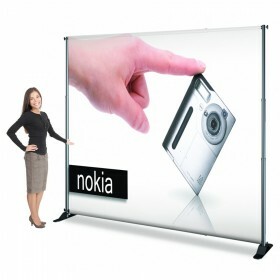 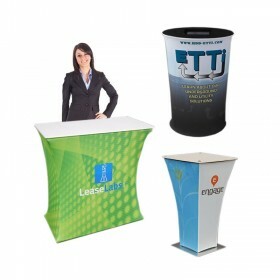 Travel is one of the most common concerns when purchasing a trade show display. 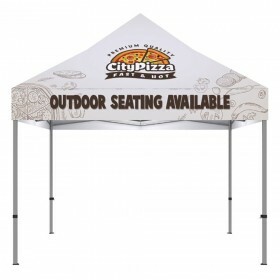 Can it fit in my car? 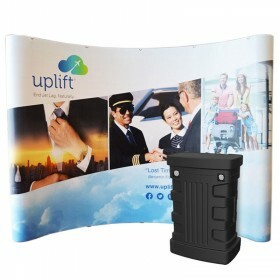 Will it be able to be checked in as baggage? 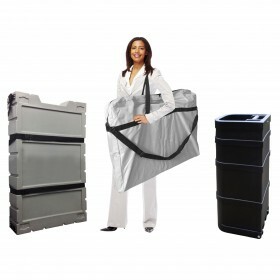 Do I have to use a freight service? 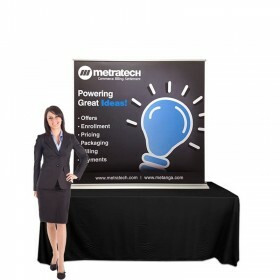 All of these questions are relevant, that's why our branded displays are all compact enough to be shipped through FedEx or UPS. 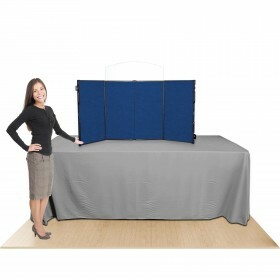 We also offer many options for shipping cases to protect your investment when travelling from show to show. 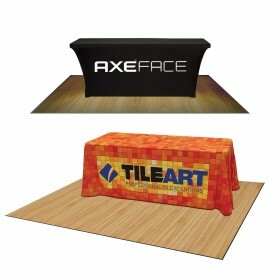 Shop now > You will find the below product lines right here - exclusively - at Affordable Exhibit Displays, Inc.